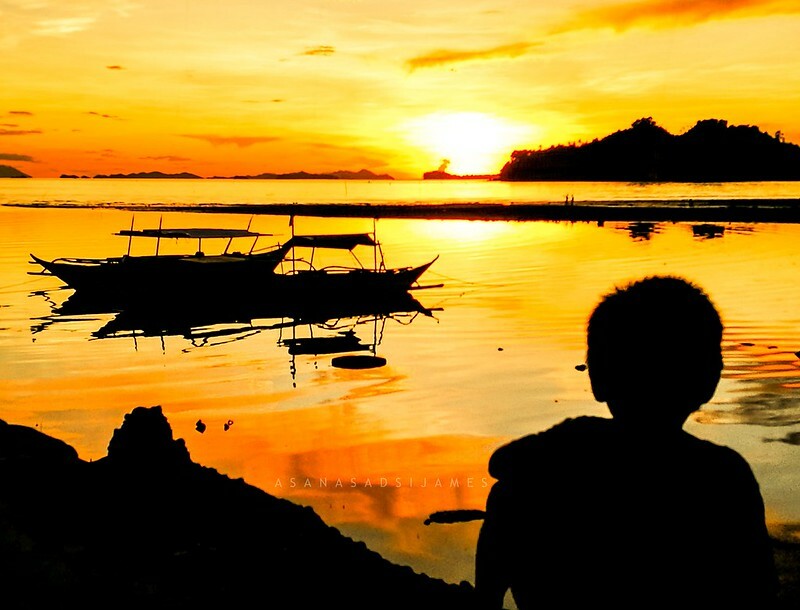 My adventurous journey began a world away in the sleepy town of Calbiga, Samar. Its cerulean and forest hues are not only a sight to behold but also what lies underneath the surface of the town. 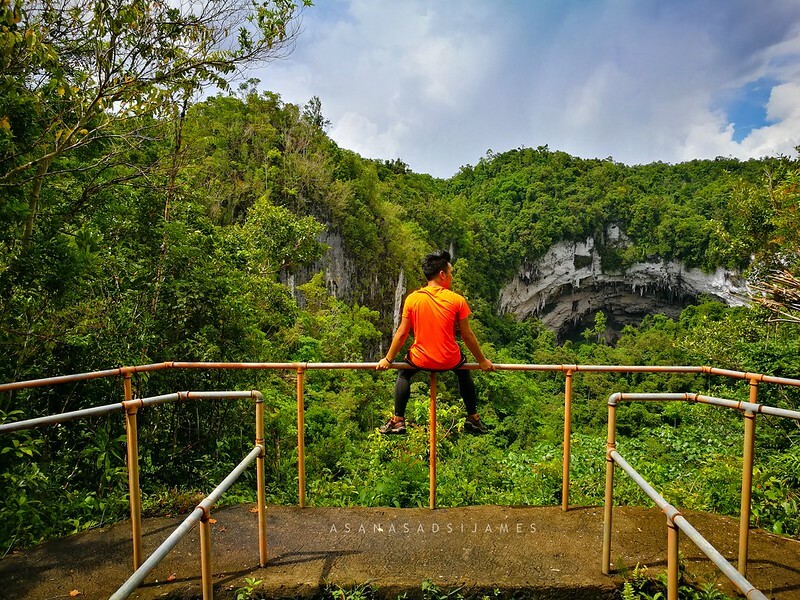 In the fertile lands and limestone karst mountains away from the town proper awaits an intrepid exploration to the underground realm of Samar. 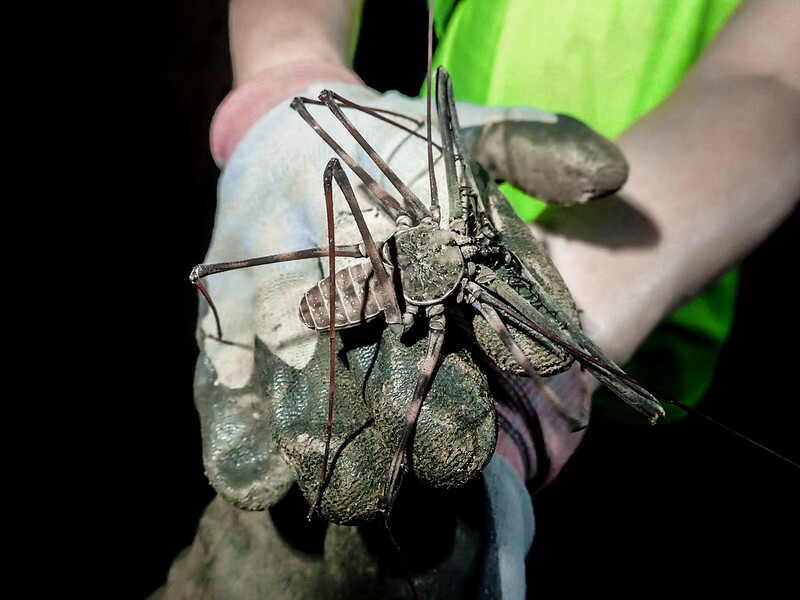 Being beneath the surface of the earth is somewhat scary in a way that it is worth a try and adventure. 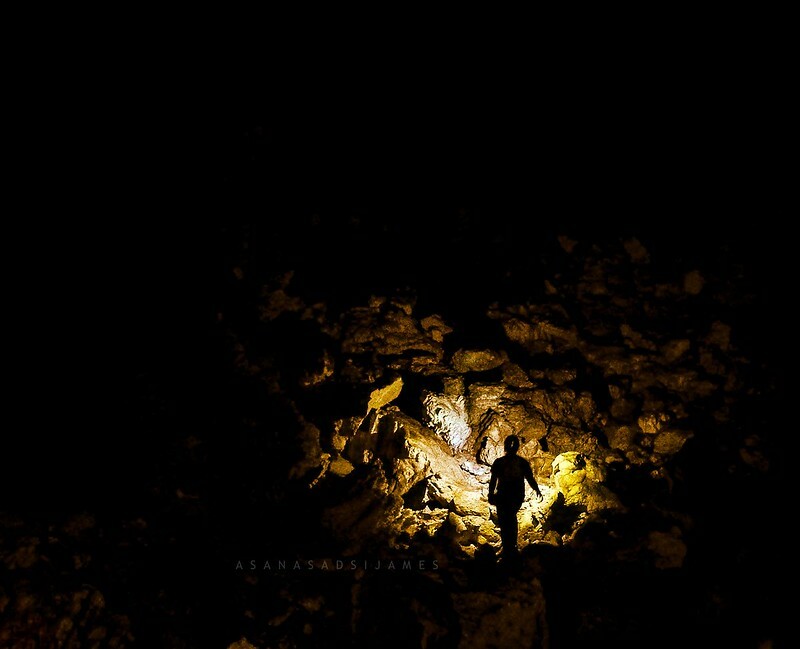 But exploring the dark caverns for days and sleeping inside its cold chambers for nights are thoughts I cannot fathom. 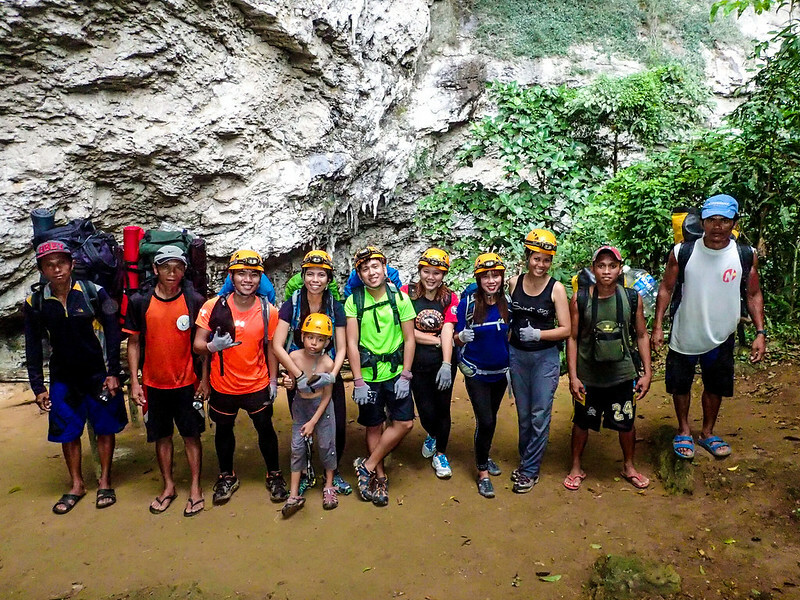 The best way to enjoy the spelunking experience here in the caves of Samar to the fullest is to set up a tour with the specialized people of Trexplorer The Adventures by cave master Joni Bonifacio. 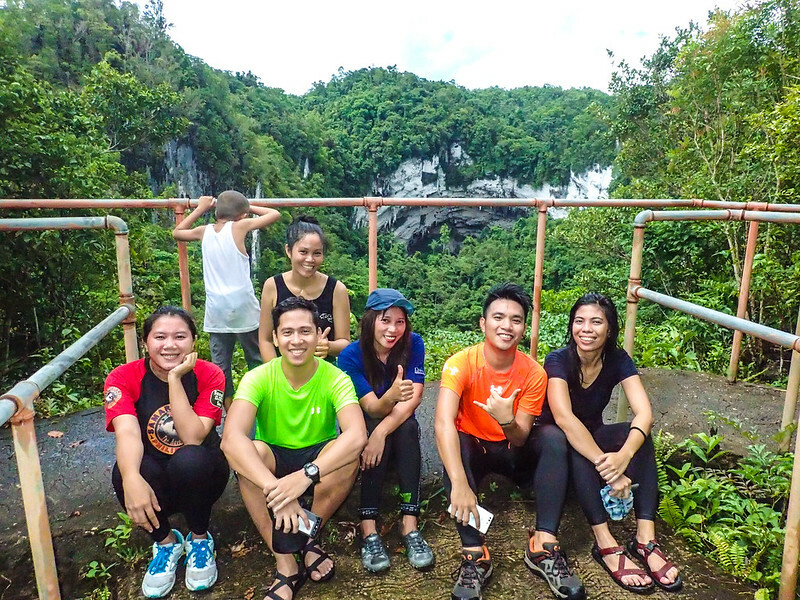 Together with my best travel buddies, Sparkle of Laagsparkles and Junji of Wandering Feet PH, we embarked our adventure from the town proper to the jumpoff area in the most unfortunate way possible. It started raining just before we got to trek to the mouth of the cave. 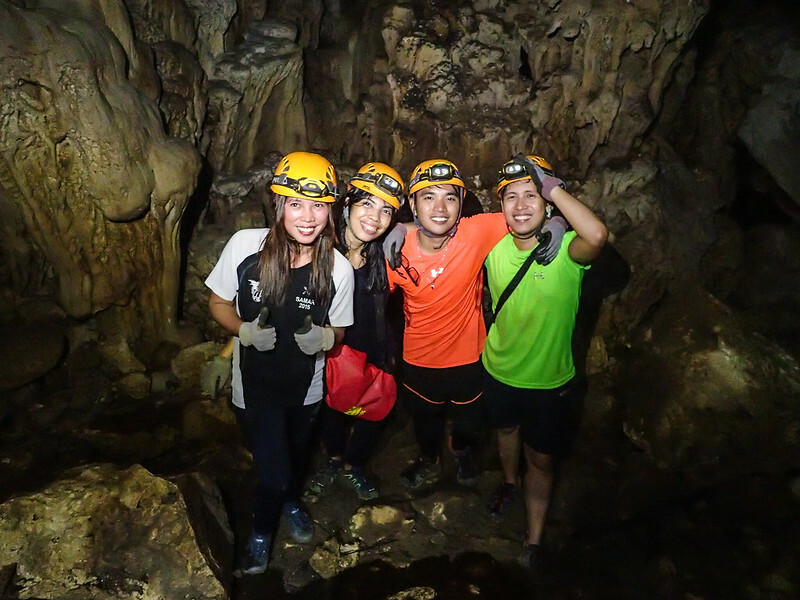 As the cave master, sir Joni, said with a smile on his face, “It’s a blessing from the heavens before entering the underground realm of Samar!” The rain may sound antagonistic, but that’s what adventure is all about. It’s not always milk and honey for someone seeking adventures. 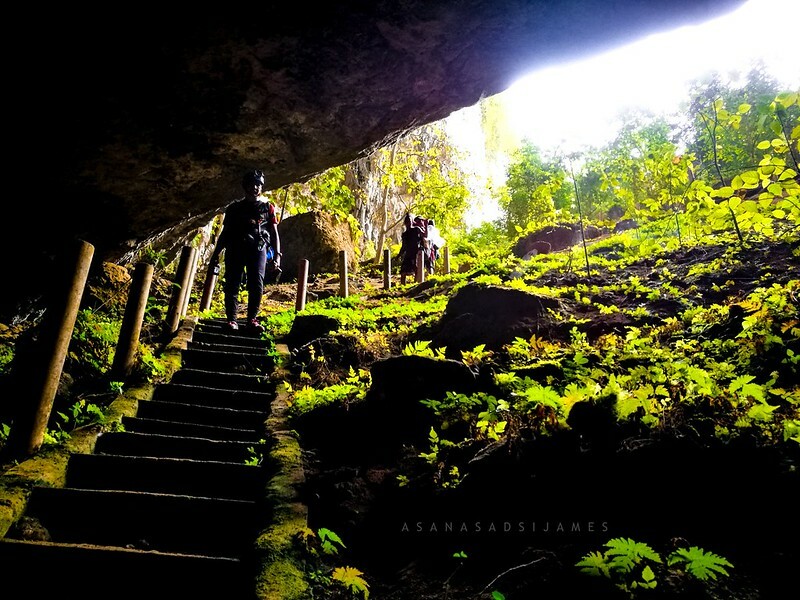 It was an hour of an arduous uphill trek with views of lush vegetation of the jungle and tailing dark clouds before reaching the view deck of the monstrous cave opening. By monstrous, I mean very very large. And I wasn’t even exaggerating. From afar, it looks like a mouth of a gigantic lamprey fish ready to devour its nearby prey. 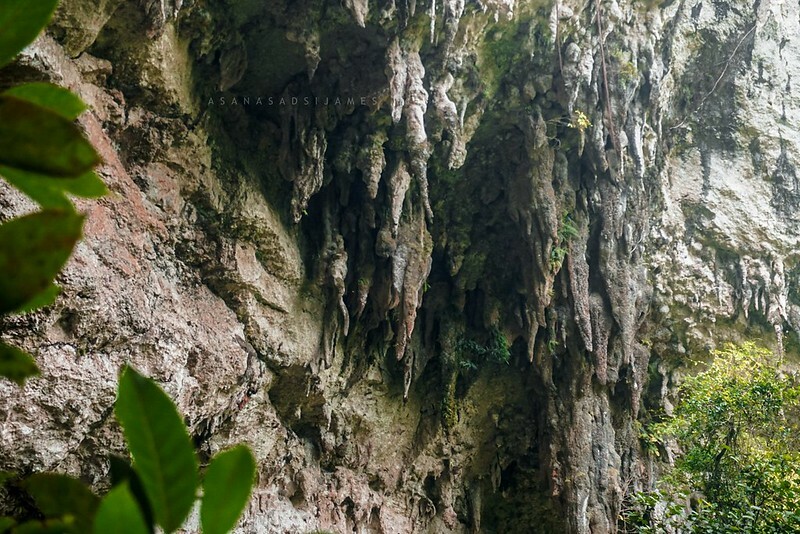 The visible stalactites draping from its upper part resembles sharp teeth of a predatory shark but on a gigantic scale of course. It was still a 30-minute trek away to its opening but from where we stood, we’re already dwarfed by its size and quite amused but at the same time felt jittery of its appearance. 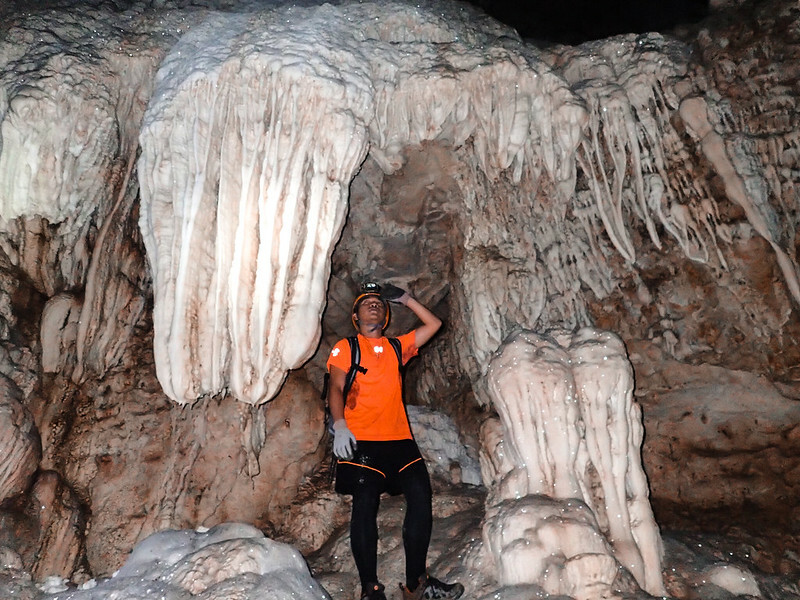 At the entrance of the cave, sir Joni gave us a brief history and orientation of the cave before entering. After that, it’s time to pull all the equipment to good use. 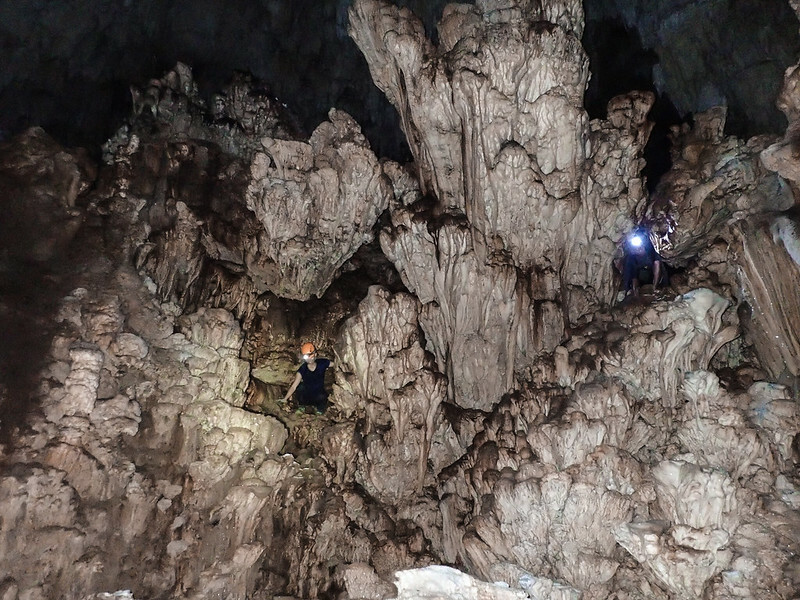 Headlamps on, gloves in, and we’re heading to the karst, foreboding maw in the earth. 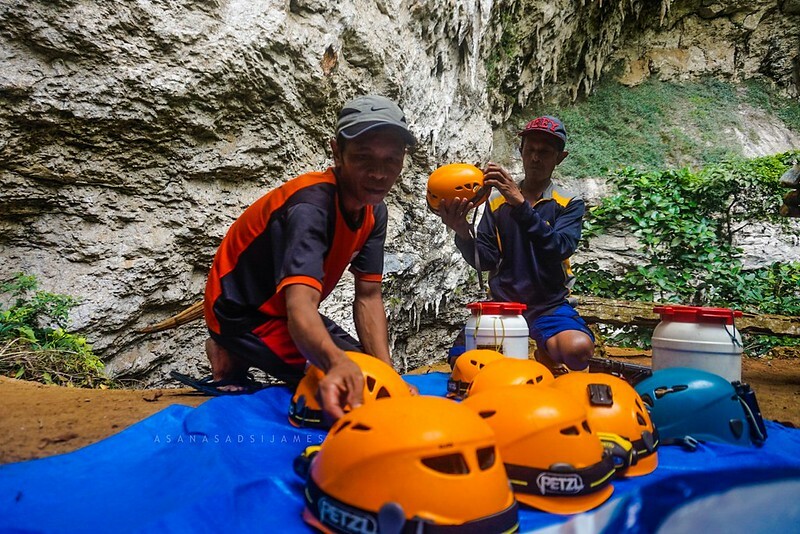 Within minutes, we naturally fall in line while descending through a cemented pavement connecting to the piles of limestone rocks acting as makeshift steps down. I looked up and the mouth is more impressive and colossal. As I leaned my head forward, I thought my eyes got blurry from looking up. 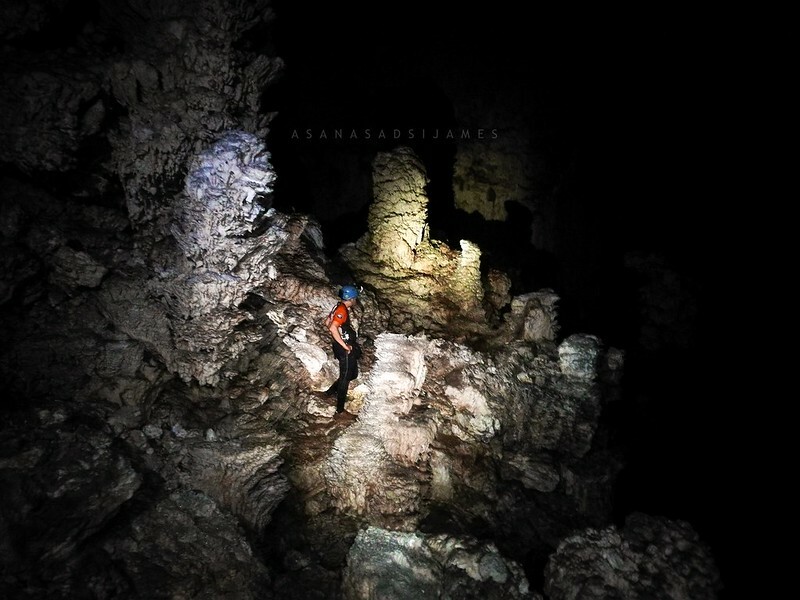 The images of karst limestone walls in front of me seemed sketchy but it wasn’t. It was a sheath of clouds or mists that made the images blurry. 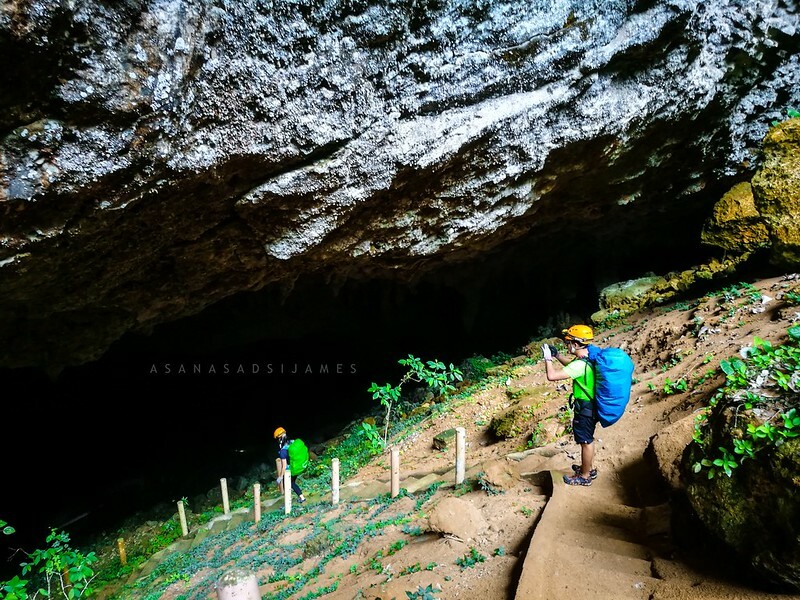 Sir Joni explained that the cave itself has its own weather inside and from the looks of it is very palpable even at the entrance. The clouds or the mists are the breath of the cave to its mouth just like a gigantic living creature lying beneath the earth. 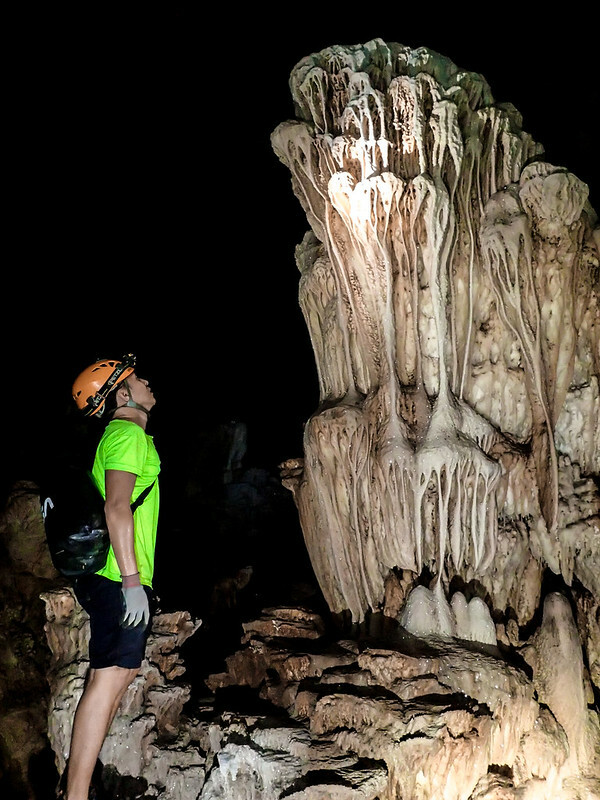 Just how more astonishing it is when we explore the caverns and holes inside. After we had passed a little beyond the entrance, almost all the sun’s light suddenly vanished from sight. As I stepped in, I watched my shadow dissolved into the surrounding darkness. Then it enveloped all of us. The temperature gradually dropped with every step we made. It felt cold through this damp atmosphere. 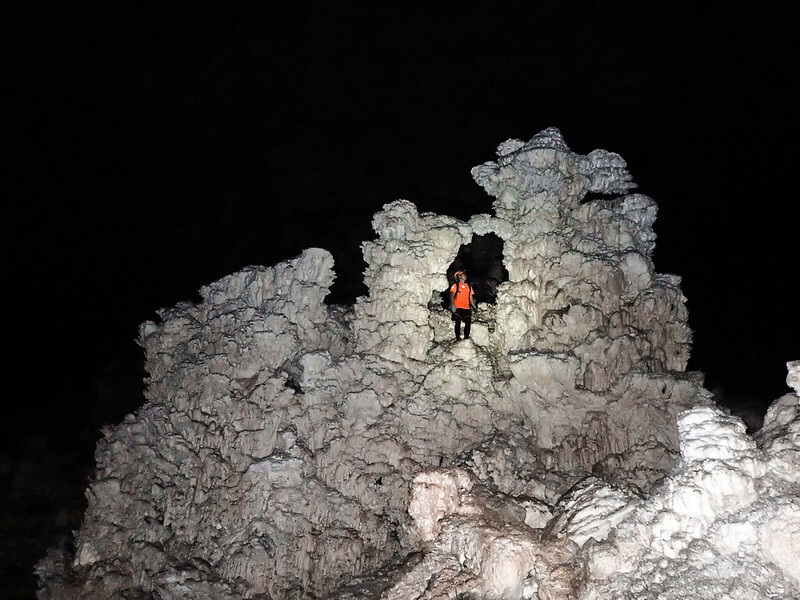 Our headlamps served as the only light on our path on these slippery, jagged rocks and boulders. 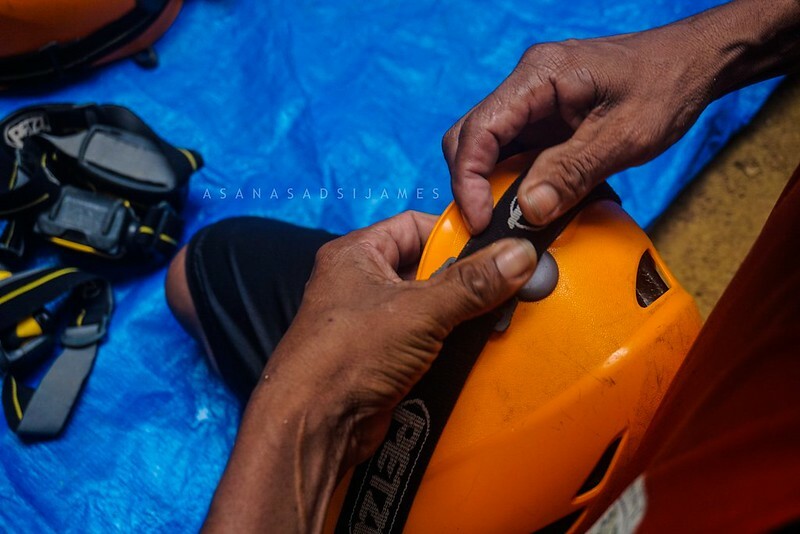 Before entering the great cave, sir Joni made us kiss a certain portion of the cave wall — a customary act for respect, luck, and guidance through our expedition. 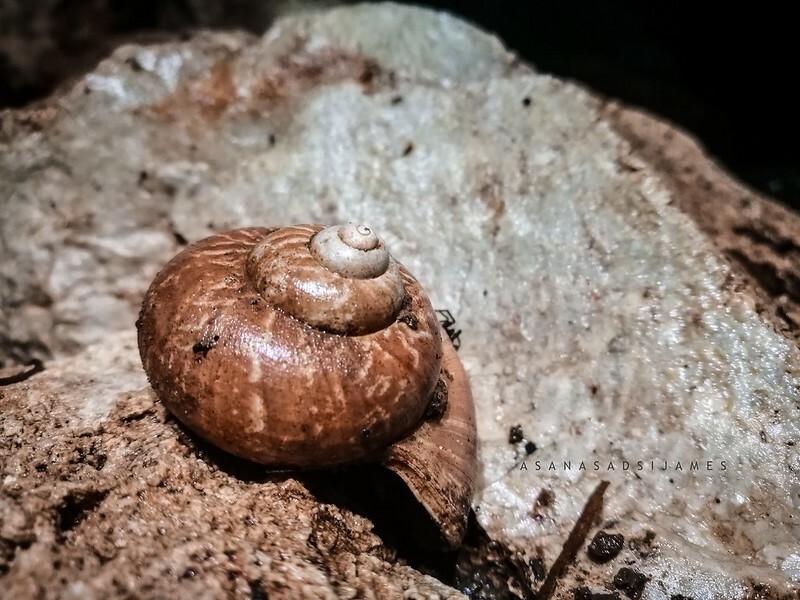 Slippery and muddy, we entered the abyss where traces of outside luminance wouldn’t reach. All the familiar noises from the outside world vanished. There was nothing but the fragile sounds of our footsteps and heavy breathing. Droplets of water echoed faintly, each drop sounded like a distant musical chime. 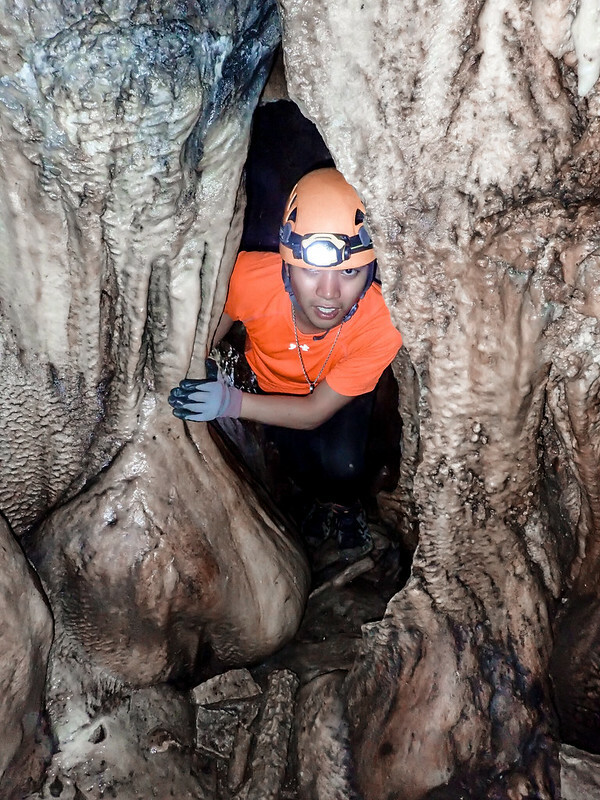 Slowly, the ancient smell of the cave came to our senses. Bats and swifts are dancing above us as we painfully waded our way to the campsite. Navigating our way to the campsite, the atmosphere gradually got damper and more humid. Even with the absence of the heat of the sun, our sweats were nothing less than trekking in broad daylight. 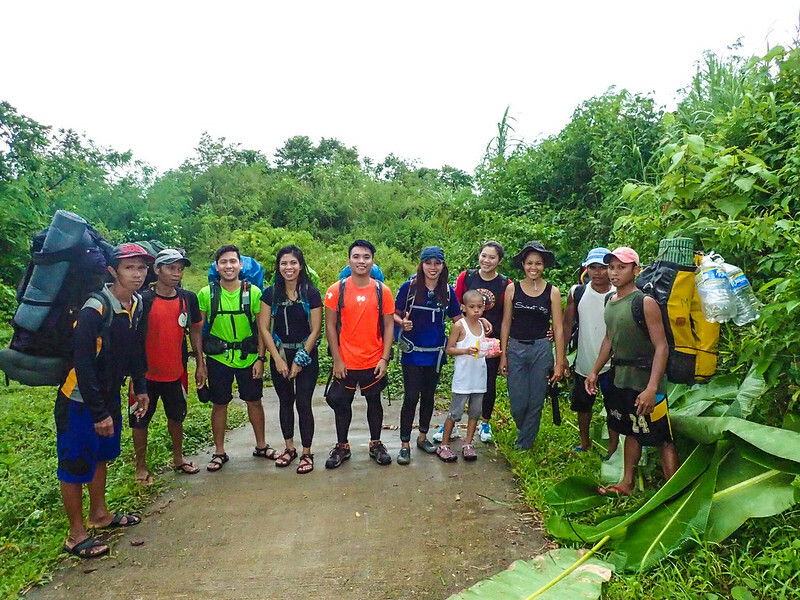 We scrambled upon sharp rocks and truck-sized boulders. It’s a precarious hike down but everyone made it with just minor scratches and scrapes. The jagged trail turned to a muddy one as we were approaching near our campsite. We entered this spacious chamber, often called the “Football Field” a name fitting to it. 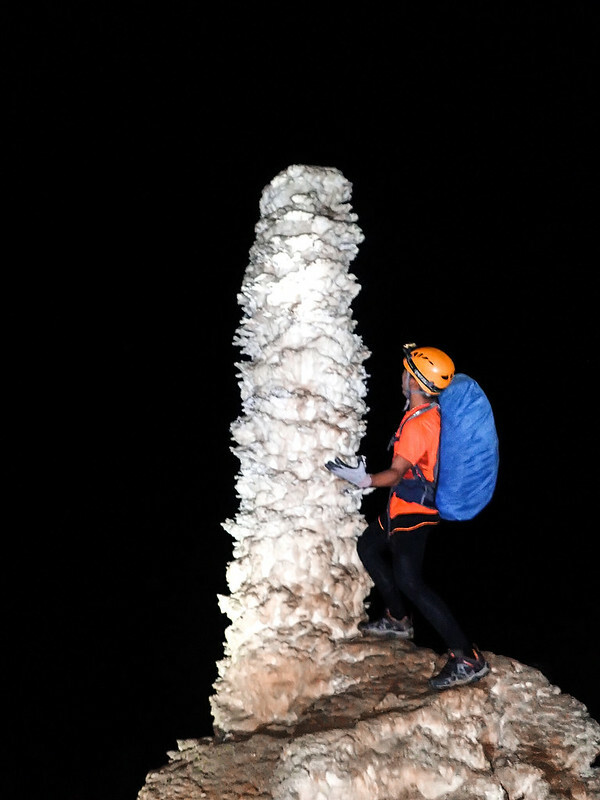 Every inch of the ceiling is filled with beautiful white stalactites. 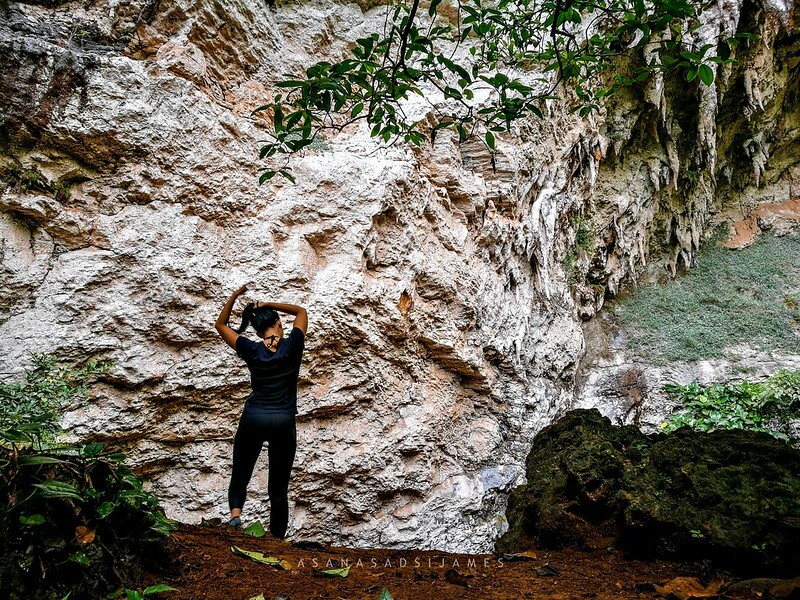 The walls are intricated by nature with various rock formations. We marveled these beauties as we paved our way in. Our shoes were above ankle-deep buried in the mud. It wasn’t easy to cross to the other side of the chamber. The mud is thick that you’ll need the whole coordination of your body or lose your balance then stumble to the mud. Moments later after the struggle, we were able to set our camp. Everyone’s shoes were soaked from the mud and unrecognizable. 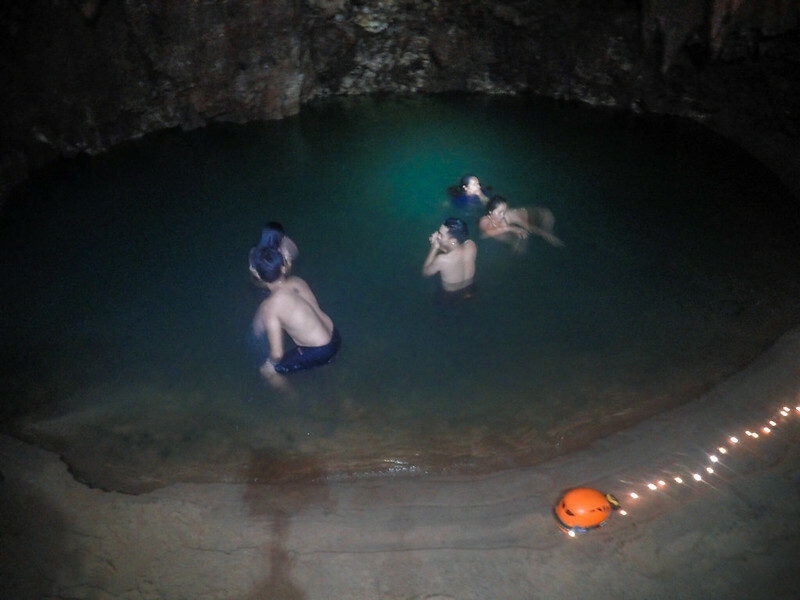 Not far from the campsite lies an oasis where a freshwater pool awaits cavers to take a plunge in its cold waters. 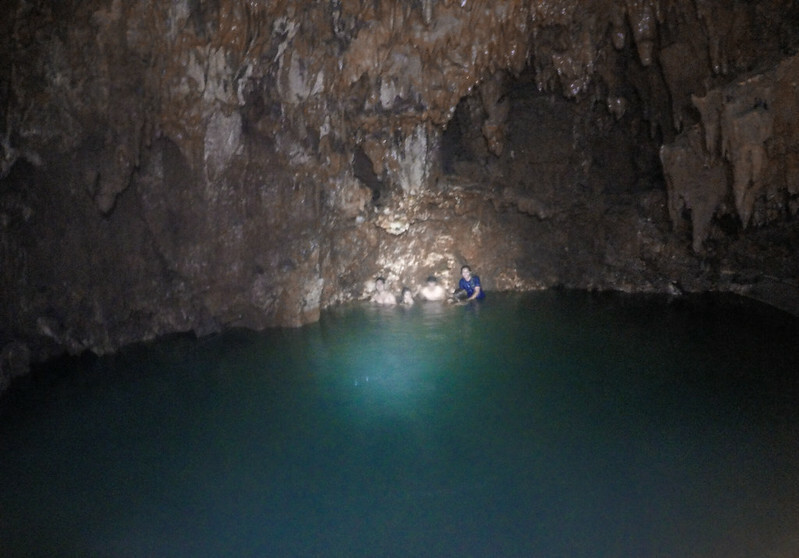 The pool is part of the underground stream of the cave. 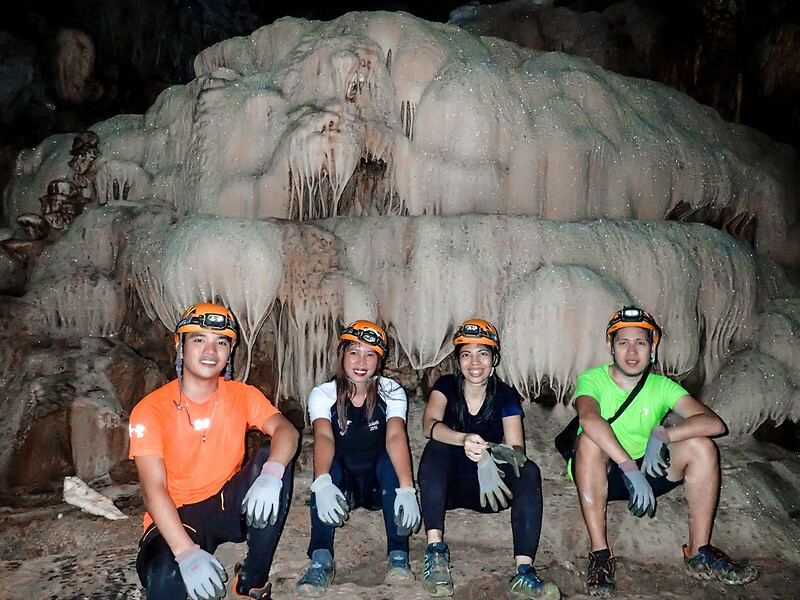 With all the mud and sweat amassed from the expedition, my friends and I didn’t pass on venturing this oasis of the cave while cleaning ourselves. On this frigid pool of stagnant water with our headlamps as the only light, we dived and swam across the pool in the dark abyss. Giggles echoed across the whole chamber and thoughts of the expedition were told. Feeling the rough cold walls and the sandy bottom of the pool, I felt the refreshment my body longed for. 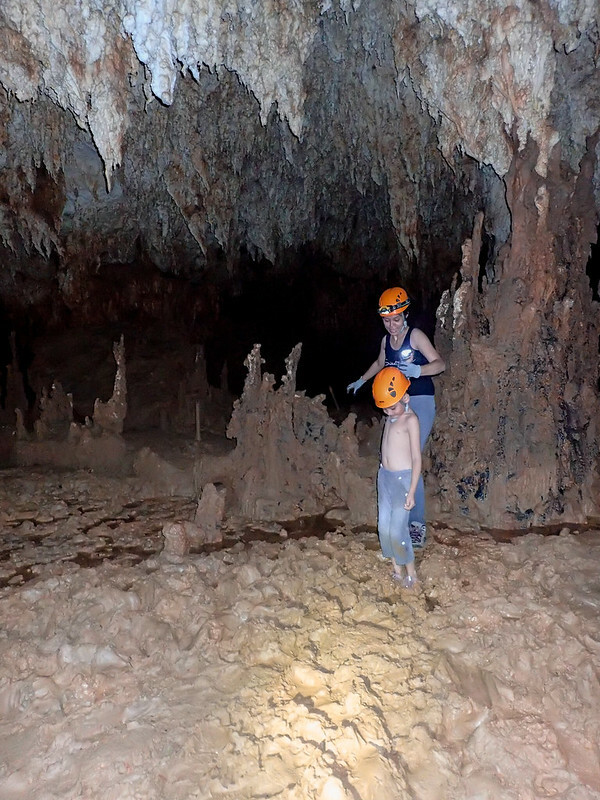 We stayed longer than expected; it’s not that every day we could plunge into a pool inside a cave. We took the rest after and made dinner before the real expedition of the cave started. 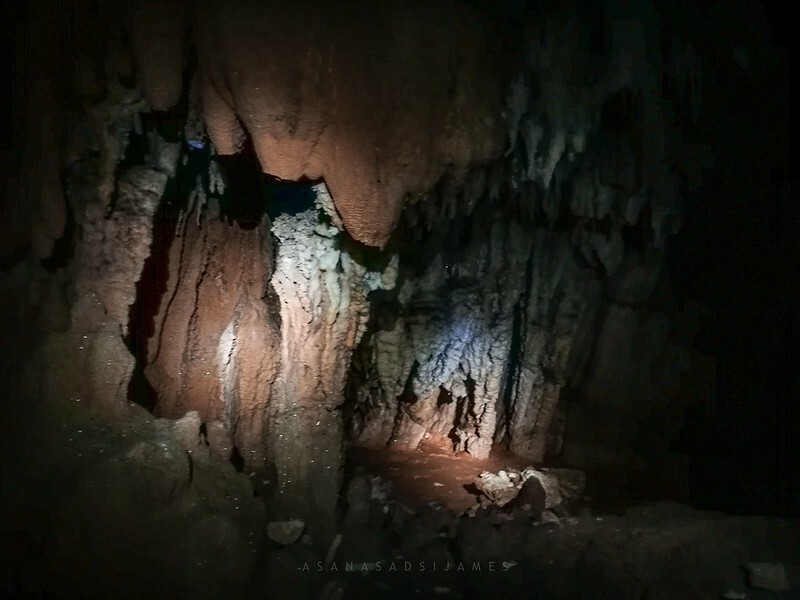 Before 8 PM, when all the cave creatures are awake and active, we commenced our intrepid exploration hoping to encounter some of these cave dwellers and to marvel at the beauty of the underground realm. Upon entering the upper Gobingob chamber, the cave opened up to a vast expanse room of darkness. 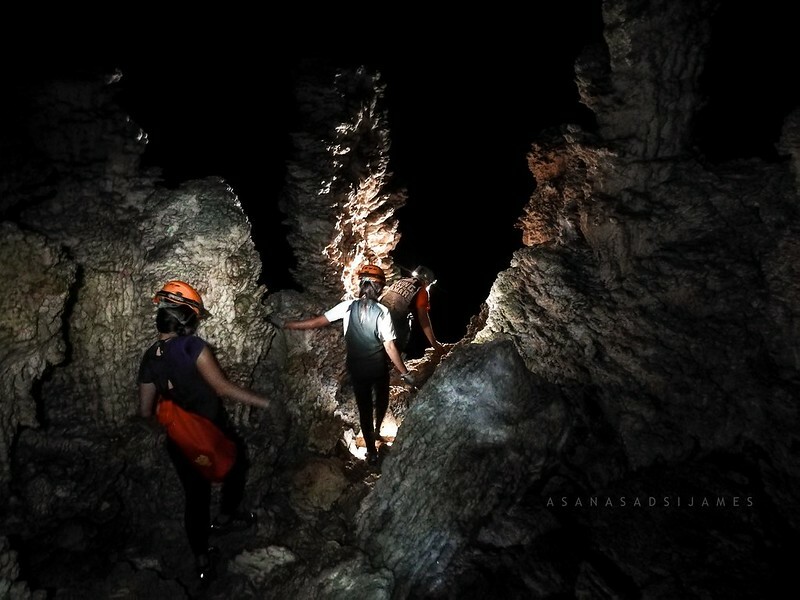 The light illuminated by our headlamps barely touched the walls and ceilings of the cave. The ceilings are skyscraper-high and literally could fit several buildings — if not all — from a business park. 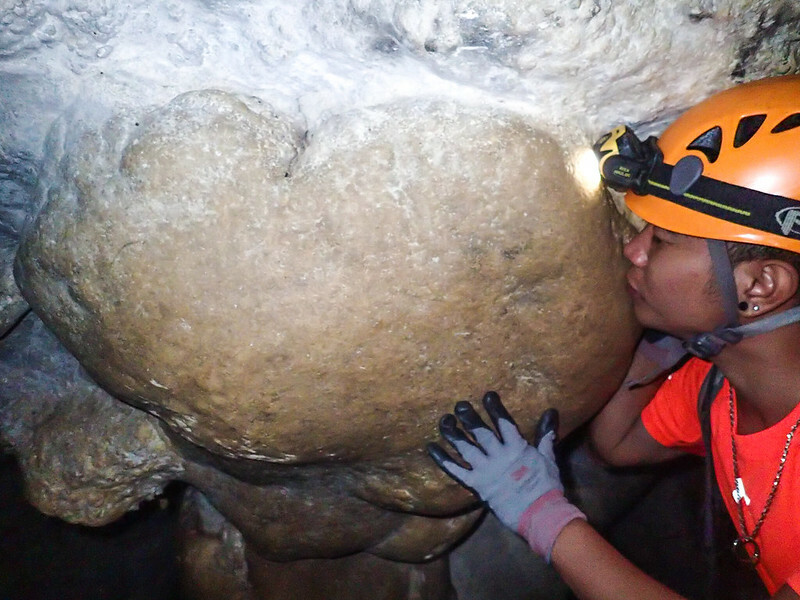 Mountains upon mountains of rocks and truck-sized boulders lie on the cave floors (no kidding!). 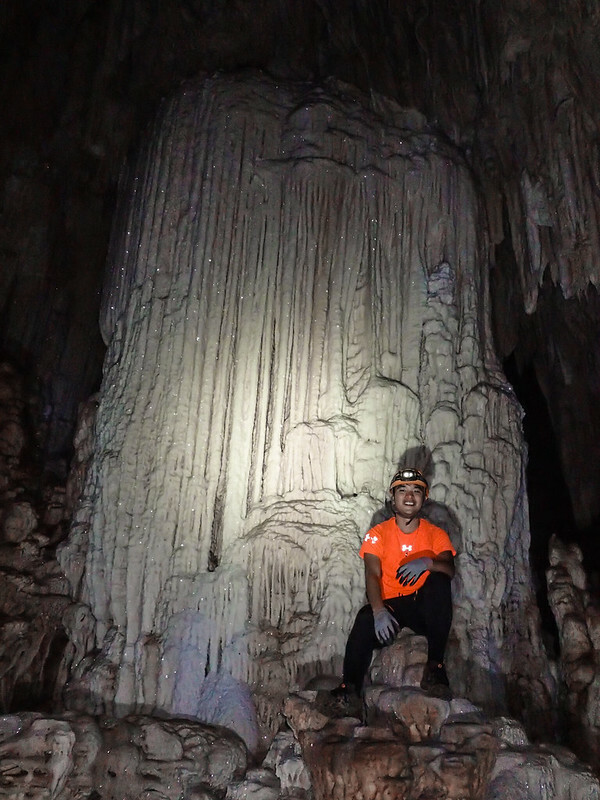 I couldn’t believe a mountain could really fit inside a cave. 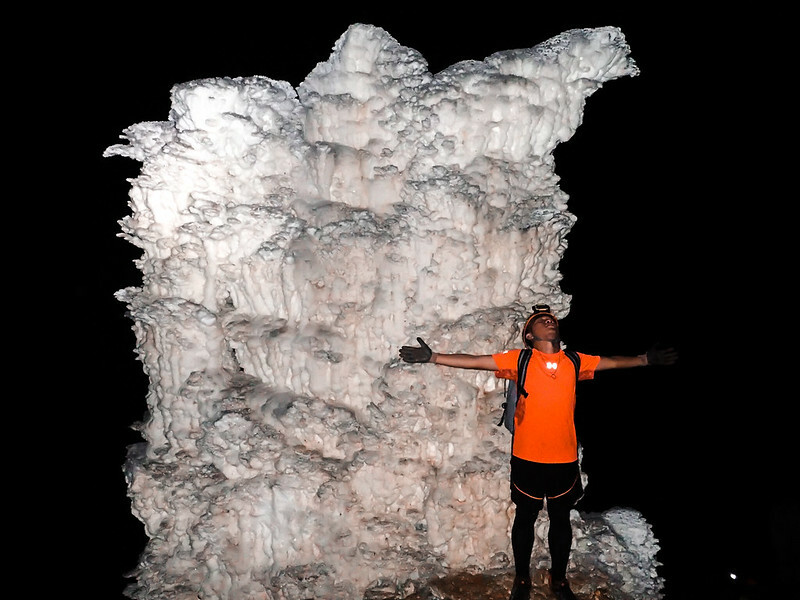 And of course, gigantic and bizarre rock formations beautifully sculpted over millions of years scattered wherever our headlamps could gaze. 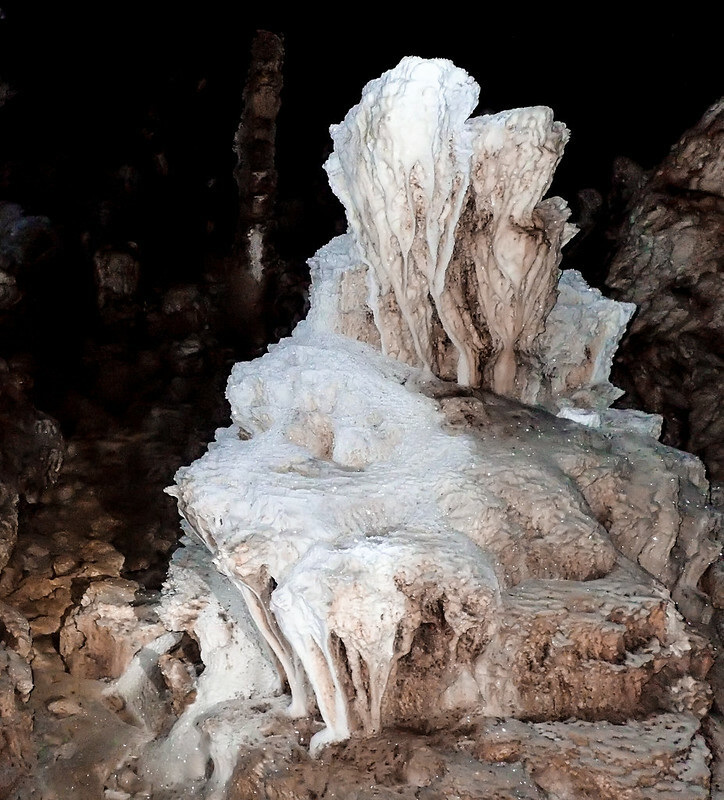 The cave’s chamber is a museum of different speleothems. I was utterly astonished by what I saw. 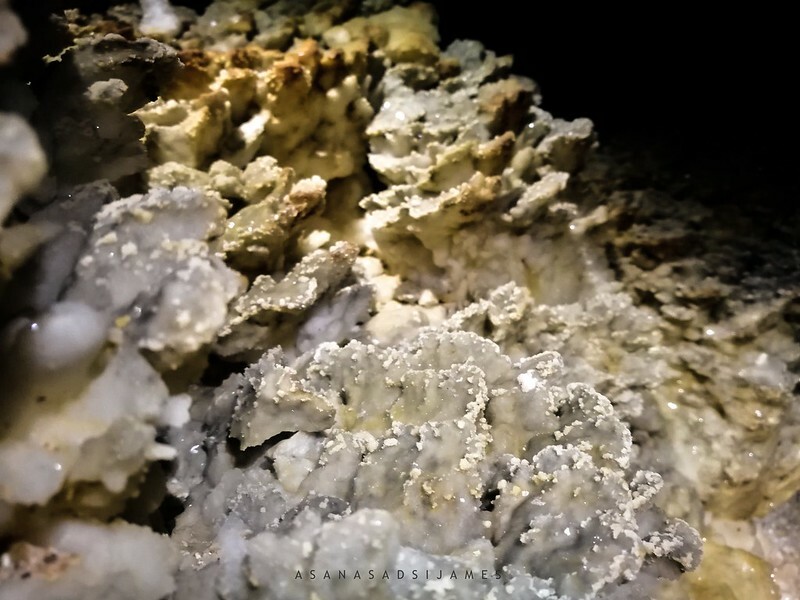 The cave contains many appropriately gargantuan formations including the Stage, the Window to Heaven, the gigantic Snowcone stalagmite, and many more of what our imagination and creativity could muster. 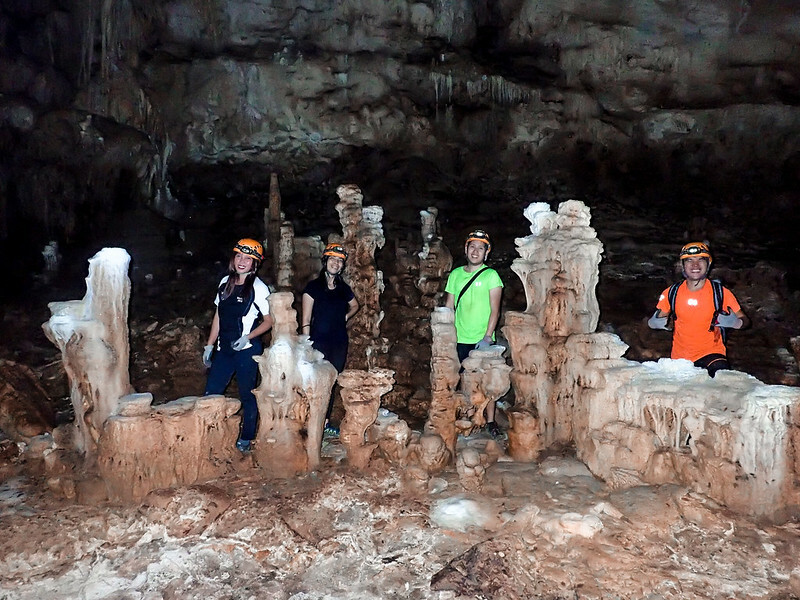 Some of the stalagmites and stalactites looked like huge teeth, even the stains on them looked like dried blood. 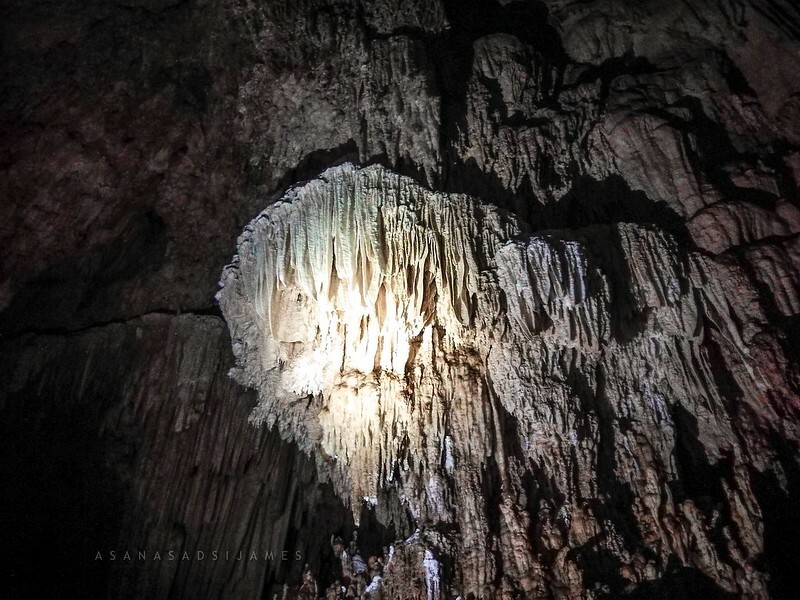 Gigantic formations protruding from the cave walls look like fossilized ancient creatures guarding the chamber. One by one, we passed these massive earthly sculptures without touching their beautiful formations and dwarfing us in a sense. 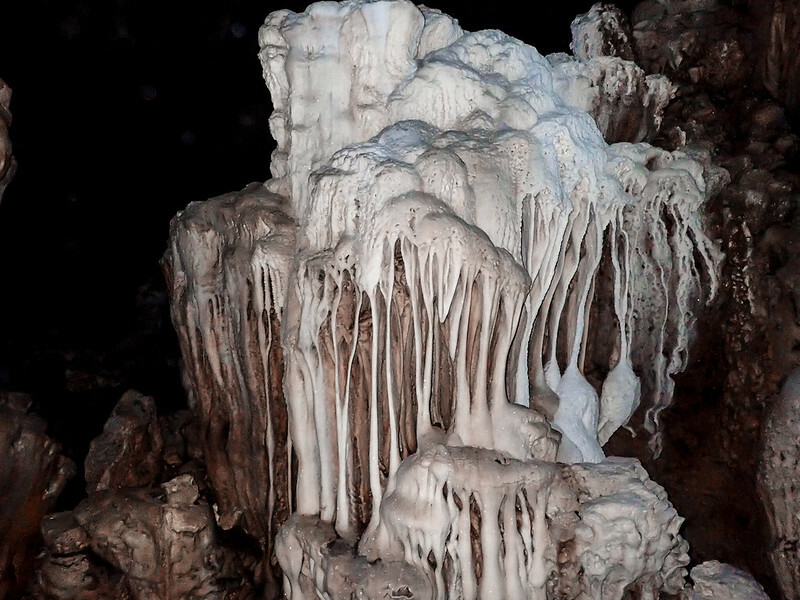 An arduous assault of loose and sharp rocks led to even whiter formations of the cave. The trail was then entailed with glittering crystals. With each step we made, we’re walking on what a cosmo of the underground realm would be looked like. 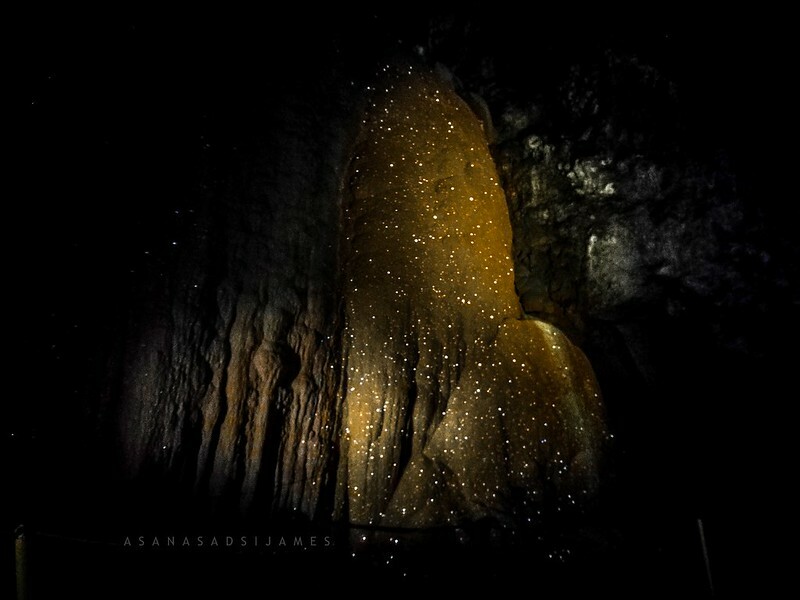 As if we’re walking on these twinkling stars that are embedded on the cave floors for millions of years. Sadly, the cave doesn’t only inhibits such enchantment but also hides a deep gash with a history of human negligence decades ago. 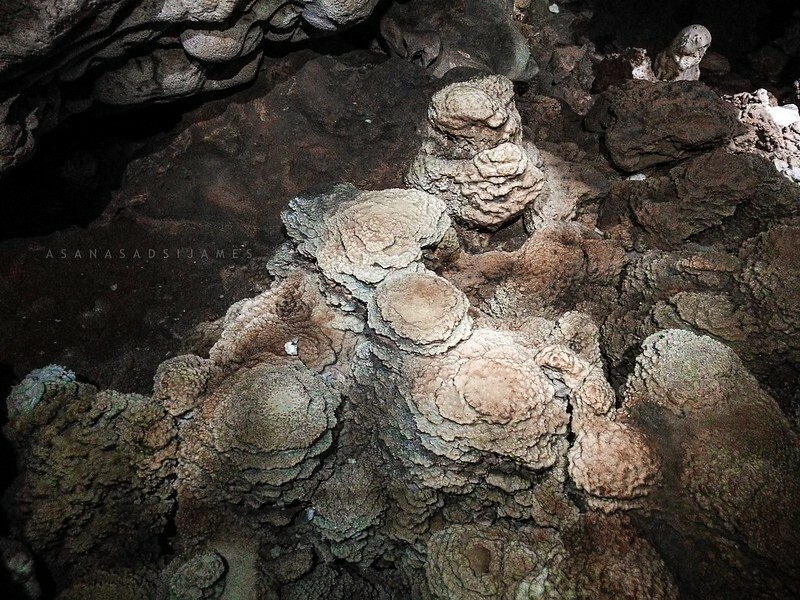 We spotted several broken and damaged speleothems that are absolutely irreplaceable. 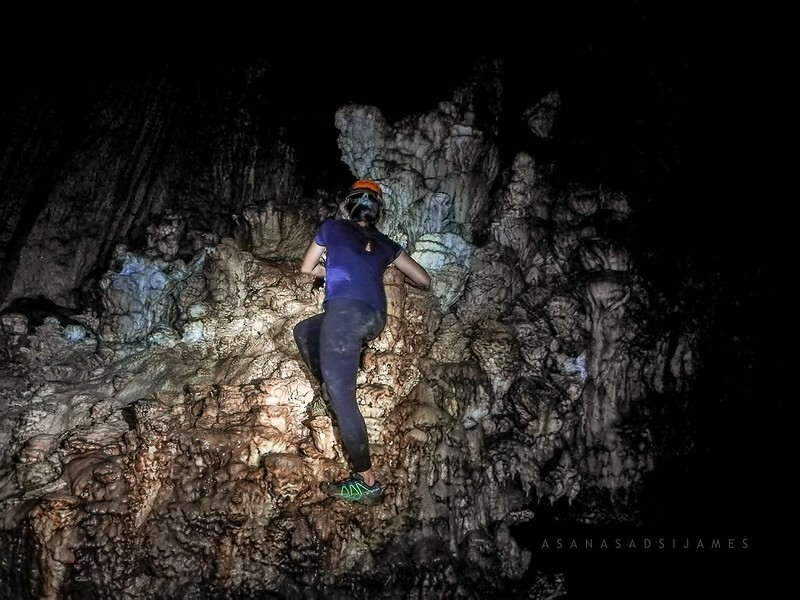 Further and further in the upper Gobingob chamber, our headlamps still didn’t put a dent in the darkness within. It was the most uncomfortable adventure I had yet. I almost gave up. On the back of my mind, I asked, “God, what have I done to do this? 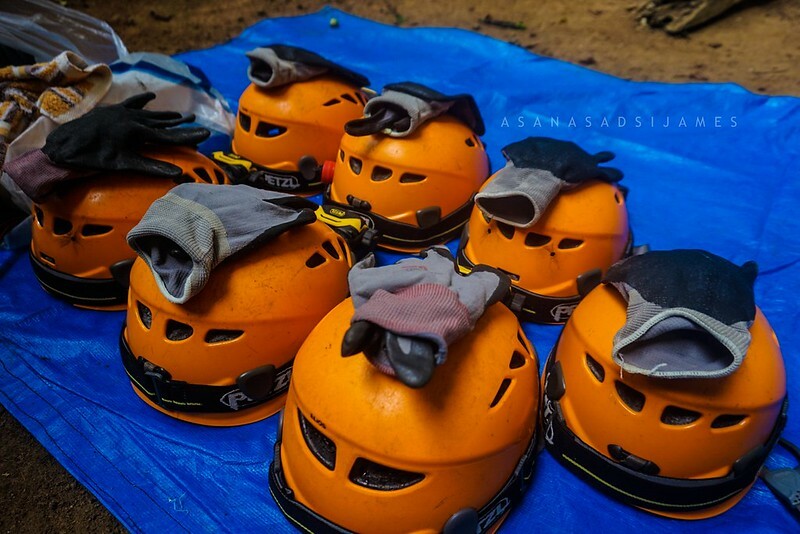 I freed my work days just to torture myself.” My body regained some strength when one of our porters said that we’re nearing the end of the chamber. We didn’t complain nor talk with my group to save energy. It was past midnight and we’re still wading our way to the end of the abyss. 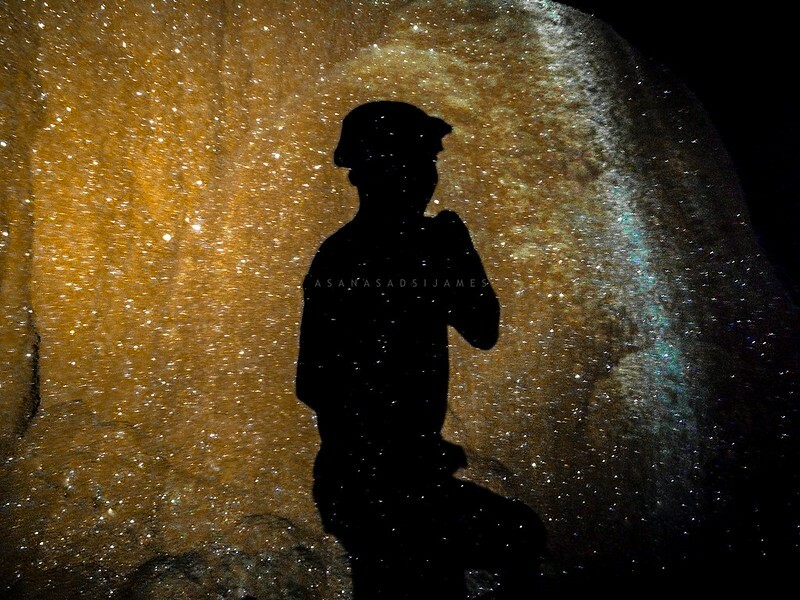 In this uncertain darkness, it always piqued my curiosity, “What is just ahead, just around that boulder, how far does it go?” beckoned me into the unknown void. I tried to look back the way I came trying to map my trail in my head but it’s not possible. 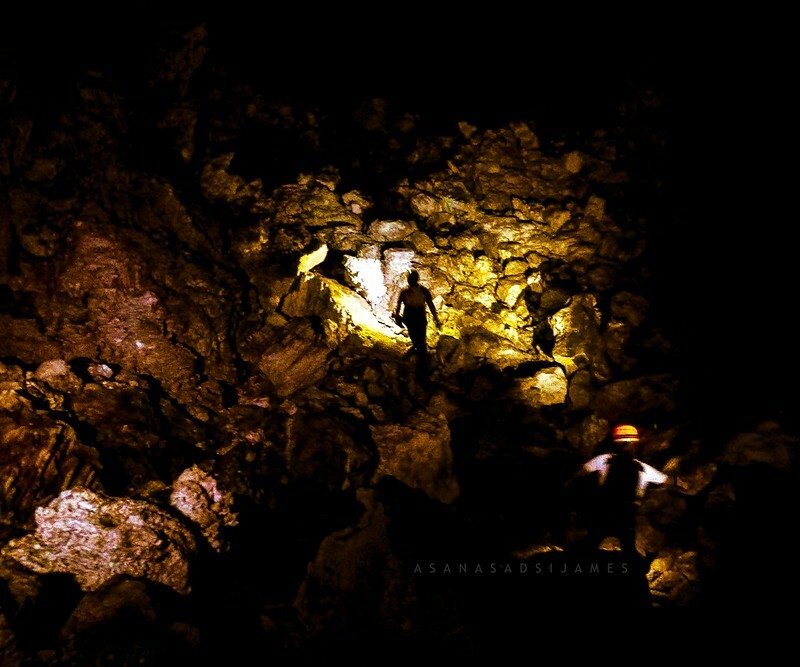 Inside the cave, I lost my sense of time and direction for the first time. Then a little bit of scrambling on the boulders and squeezing onto small holes, we reached the end of the cave with nary a scratch. 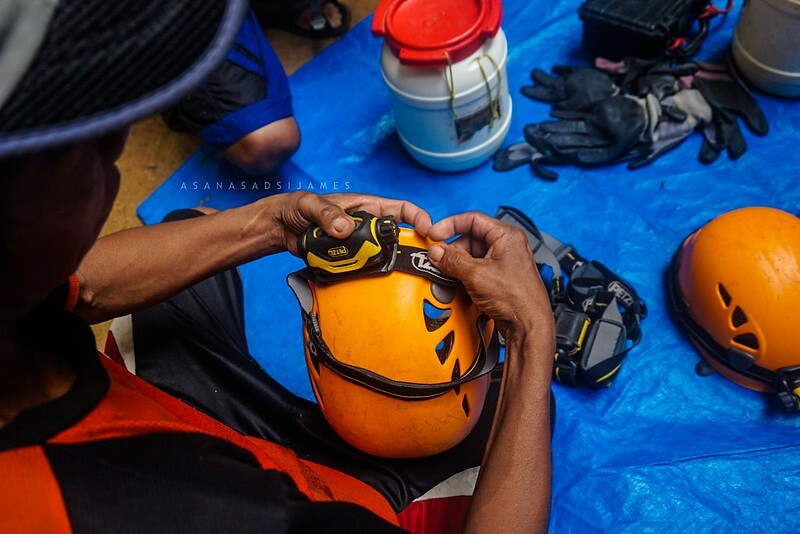 It was indeed a laboriuos activity but I felt a very big accomplishment knowing that I finished and survived until the end of Gobingob Cave. We headed back after a few rests. We arrived at the campsite before 2AM in the morning. Before hitting the sack, we took a nice plunge back on the pool to clean ourselves and have a good night sleep afterwards. Perilous but a mirthful adventure it is. 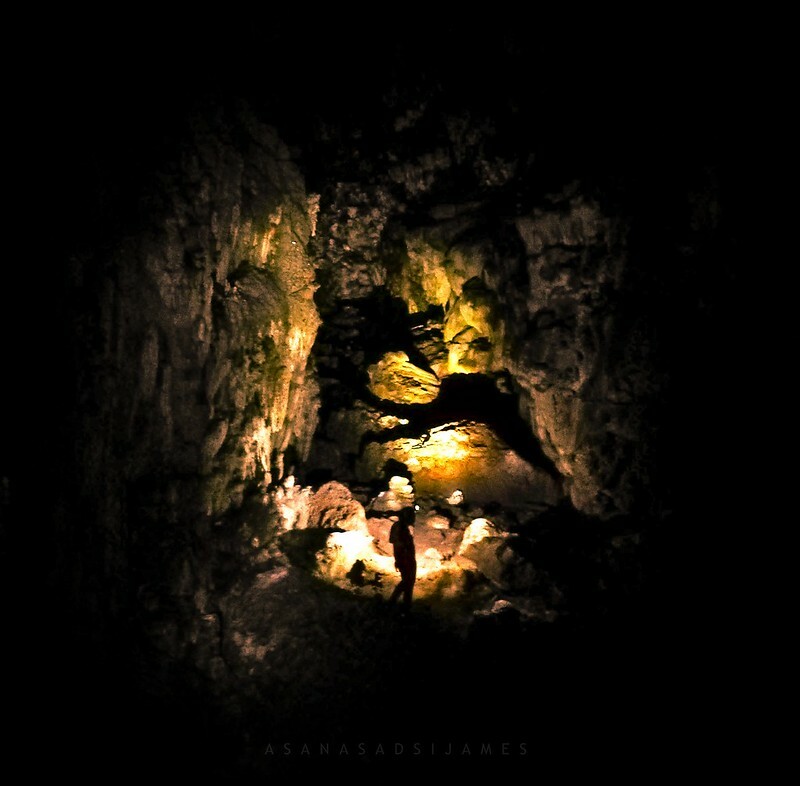 The wilderness inside the cave seemed like nothing I’d ever experienced before. 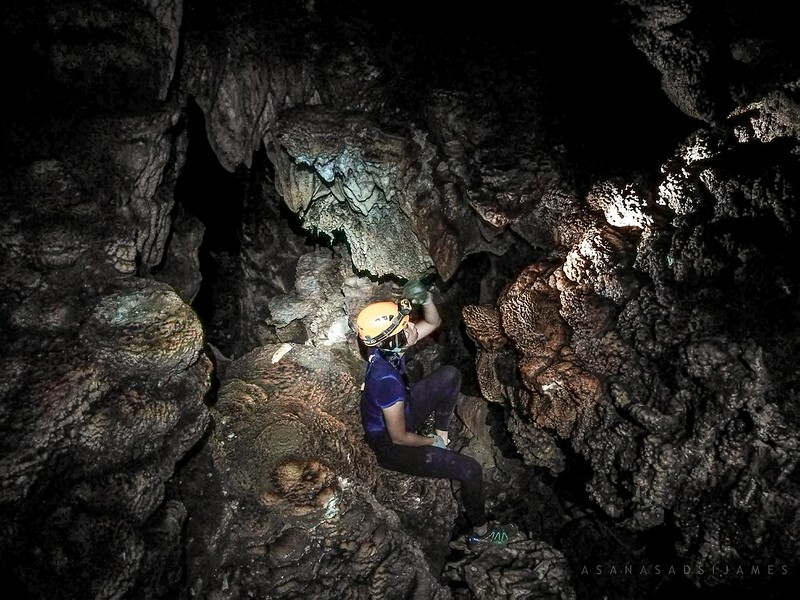 The slowly ticking of time and the dark abyss are the real challenges for the first time cavers. 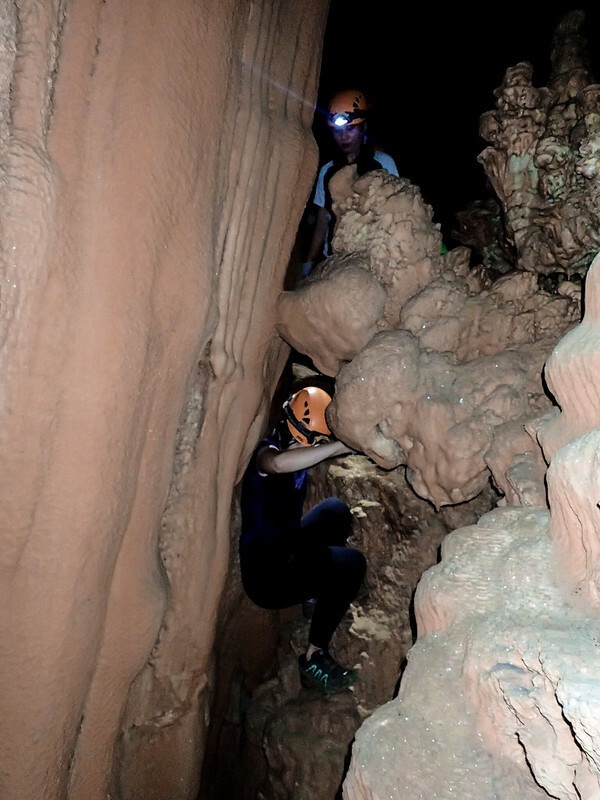 But the longer you ventured out deeper into the caves, the more enjoyment you’ll get despite the challenges. After all, there’s always a first time for everything. What happened to us on the second day in this intrepid expedition? 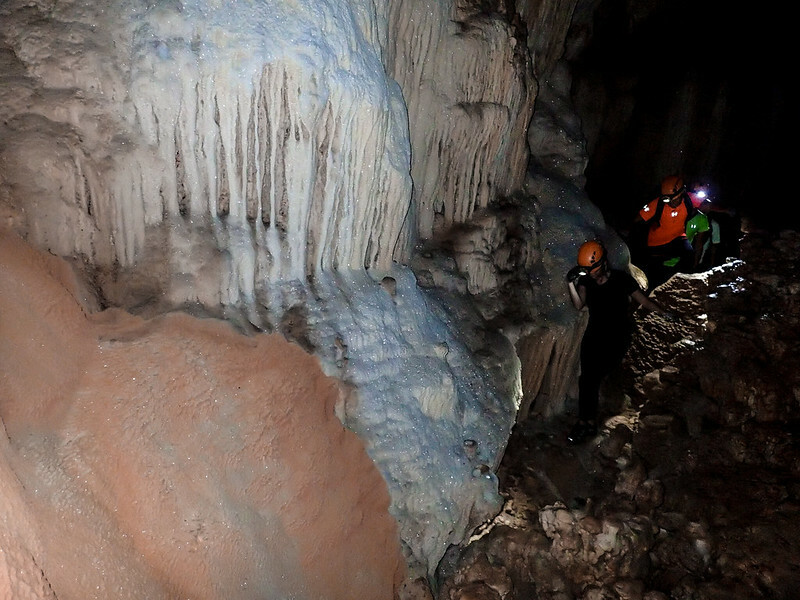 Of course, a lot happened than on the first day and a lot more interesting discoveries inside the next cave. 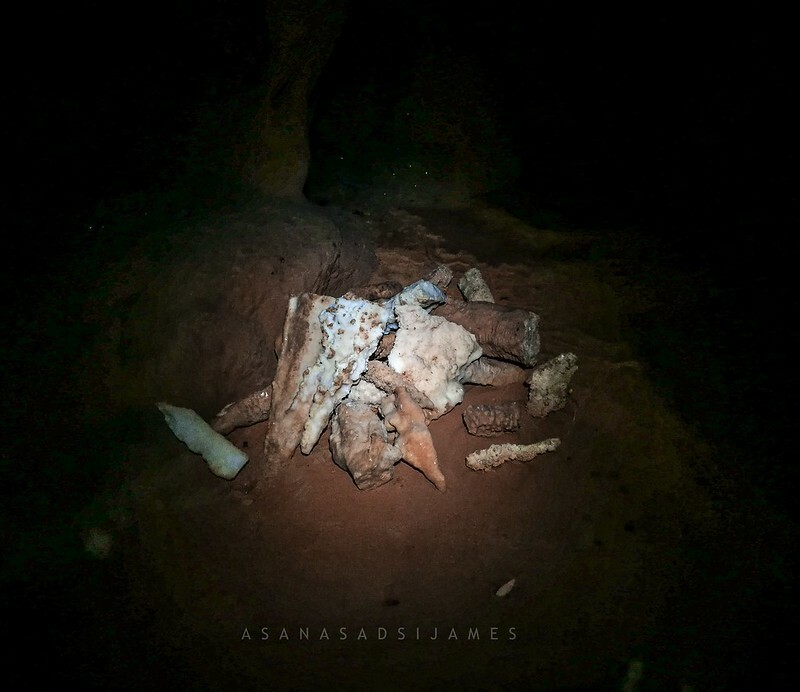 More discoveries and shocking experiences. 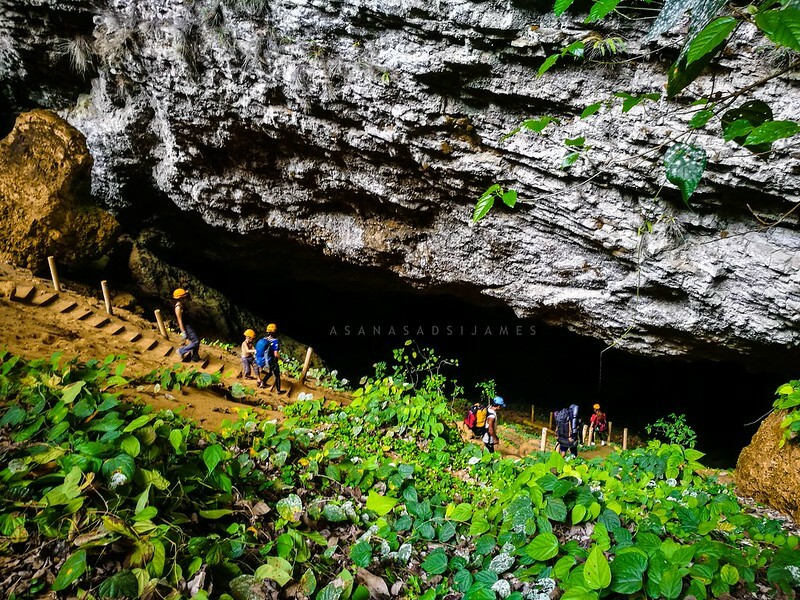 Click here: LANGUN-GOBINGOB CAVE: The Intrepid Exploration to the Underground Realm of Samar (Part 02 — Langun Cave) to check what happened to us.